Lavish Lunches, an annual culinary experience that supports a broad range of programs and services for senior adults at the Kaplen JCC on the Palisades in Tenafly, will begin on Thursday, April 4, at 10:15 a.m. Funds raised allow seniors to age in place and remain socially, mentally, and physically connected to the world around them. For the first time, this year the JCC will host its Mitzvah Lunch with seniors on a different day — Thursday, April 11, at 12:15 p.m. This will give everyone who attends a rare opportunity to witness first-hand the joy the JCC brings into the lives of seniors every day. 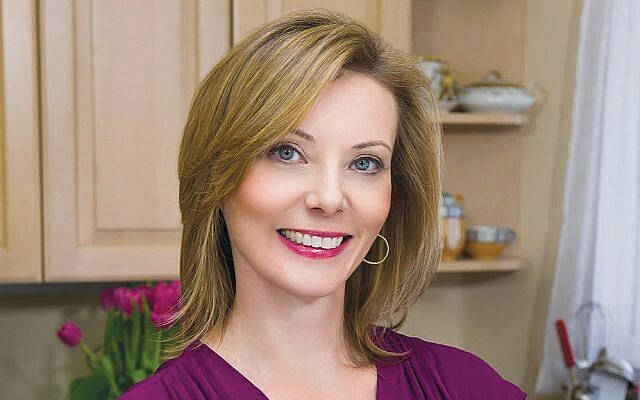 On April 4, the culinary journey that is Lavish Lunches will begin with a light breakfast at the home of Michele and Daniel Ross and will feature a culinary presentation by Tanya Steel, a global leader in the food world. She is the executive director of the International Association of Culinary Professionals, the award director for the Julia Child award, and the author of the new “Food Fight: A Mouthwatering History of Who Ate What & Why Through the Ages.” She conceived Canada’s Kid Food Nation and the Healthy Lunchtime Challenge & Kids’ State Dinner with First Lady Michelle Obama, which took place annually at the White House for five years. She also was an editor at Bon Appetit and Food & Wine and wrote for the New York Times. She is a co-author of the award-winning “Real Food for Healthy Kids” and the New York Times bestseller “The Epicurious Cookbook.” Ms. Steel won a James Beard award for journalism, and as part of a talented team, won dozens of awards including Webbys, ASMEs, James Beards, and an Emmy. After the breakfast, participants will attend the lunch of their choice, served in local homes and other venues, where hosts will provide a memorable experience. Each meal will have a unique theme, ranging from painting to fitness to an afternoon of mah jongg. The JCC Senior Services Department delivers a broad range of social, cultural, educational, and recreational programs for older adults and their caregivers. Highlights include the Kaplen Adult Reach Center, a social adult day care for people with Alzheimer’s disease and dementia; REAP, which offers extensive programming for active retirees; the Club, a social group for individuals with mild cognitive impairment; the Senior Activity Center; and intergenerational programs with children in the JCC Early Childhood Center. Many of these programs offer door-to-door transportation in wheelchair-accessible vehicles, programs for the arts, lectures and concerts, discussions of current affairs, exercise, sing-alongs and dancing, and birthday and holiday celebrations. The JCC serves more than 24,000 free hot kosher lunches annually. Lavish Lunch sponsors include the Kaplen Foundation, Englewood Health, Artistic Tile, the Dean Foundation/Francie & Stephen Steiner, ShopRite/Treeco, Gilly’s Organics, Orly Chen/Re/Max Properties Plus, M Ross & Associates LLC, and MYRON. Committee members include co-chairs Lorin Cook and Brandi Rubin, Orly Chen, Stephanie Cohn, Alissa Epstein, Merle Fish, Kiera Flynn, Jenna Gutmann, Jackie Pollack, Michele Ross, Jennifer Schiffman, Jillian Somberg, and Francie Steiner. For more information, go to jccotp.org/lavishlunches or call Francine at (201) 408-1404.